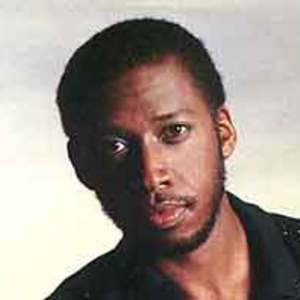 Jeffrey Osborne began his professional singing career in 1969 with a popular funk and soul group called Love Men Ltd. The band moved to Los Angeles in 1970 and changed its name to L.T.D. Osborne was originally brought on as the drummer and eventually became the lead vocalist. After more than ten years with the band, he decided to pursue a solo career, which produced such Top 40 hits as "Don't You Get So Mad," "Stay With Me Tonight," and "Love Power," which he performed with Dionne Warwick. Born in Providence, RI, Jeffrey Osborne was the youngest of 12 children and was constantly bombarded with music as he was growing up. He had five brothers and six sisters, some of whom went on to have music careers. His father, Clarence "Legs" Osborne, was a popular trumpeter who played with Lionel Hampton, Count Basie, and Duke Ellington, and died when Jeffrey was only 13. His mother, Wanita, is ancestored by a Pequot Indian sachem. His oldest brother, Clay Osborne, is a singer and pianist, and Billy, another brother, is a songwriter and producer in Los Angeles. But Osborne's father had the greatest influence on his musical career; Clarence "Legs" Osborne turned down many top band offers during his career to be with his family. It was only after receiving his mother's encouragement that Jeffrey left for Los Angeles to play with L.T.D. At the age of 15, he sat in with the O'Jays when the drummer was too tired to play, and went on to play with them for two weeks. It was at a Providence nightclub that fate brought him together with the band Love Men Ltd. in 1969. Osborne's solo career has brought him five gold and platinum albums, including Stay With Me Tonight, Aymuk, and Only Human. He also recorded an album of duets with popular singer James Ingram, and scored an international hit with "On the Wings of Love" in 1982. Osborne's touring and recording continue to keep him busy much of the time, but he also devotes some of his time to charity work.